Our MTA Studio software for the personalization of displays, dashboards and control units and the presence of dedicated customer support have conquered the attention of the important Turkish MST group operating in the industrial, agricultural and construction sectors. In fact, we were able to win an important order for the supply of our Revo Plus dashboard for a backhoe loader, thanks to the exceptional configurability of this electronic device and the ability to support the customer with an on-site technical sales team. In fact, for years now, in addition to the constantly increasing foreign sites to be next to the OEMs where they produce, we have also created technical and commercial offices with skilled people who assist customers locally in many other countries. 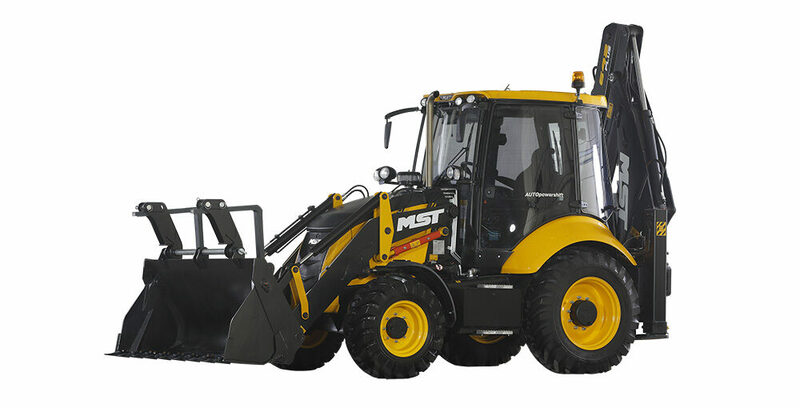 In the case of MST, the support was on several levels in all phases of product development, starting from the identification of the optimal dashboard for the backhoe loader within our shelf offer. Our staff also followed the client in the graphic design of the dial plate printing and in the configuration of the picture and the telltales. The contribution to the use of the MTA Studio software tool and the subsequent programming of this device by the MST staff, with hours of dedicated training, was also decisive. Different dimensions and shapes for an easily configurable product range, featuring elegant design and modern lines with deep attention to safety details, such as anti-reflection and anti-fingerprint treatments, guaranteeing perfect visibility. Customizable instrument clusters & displays. Press Release – Revo Plus for MST Group.